AP US Government and Politics: What Score Do You Need? In 2017, 319,612 students took the exam. The mean score was a 2.58, and 157,534 (49.3% of test-takers) got a score of 3 or higher indicating that they might qualify for college credit or placement. A high score on the AP U.S. Government and Politics exam will sometimes fulfill a college's history or social science requirement. Many schools will require a minimum score of a 4 or even a 5 to earn credit. 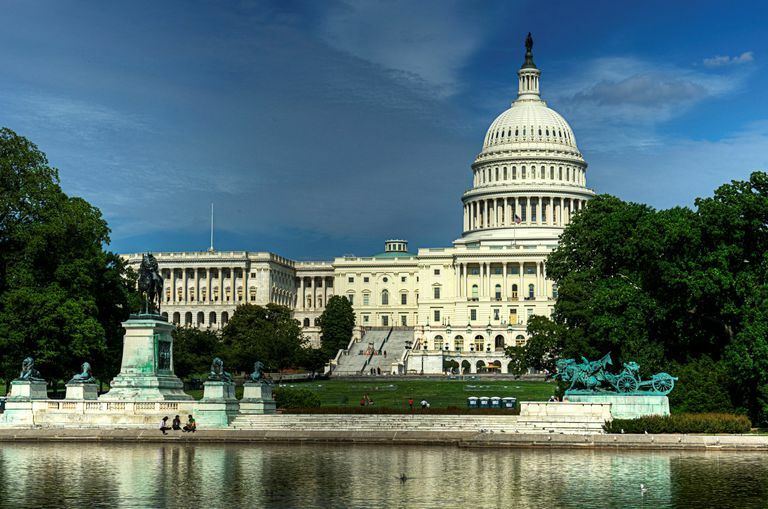 The AP U.S. Government and Politics exam covers the U.S. Constitution, political beliefs, political parties, interest groups, the media, the institutions of the national government, public policy, and civil rights. If a college offers course credit for the exam, it will typically be in Political Science or American History. The table below presents some representative data from a variety of colleges and universities. This information is meant to provide a general overview of the scoring and placement practices related to the AP U.S. Government and Politics exam. For other schools, you'll need to search the college's website or contact the appropriate Registrar's office to get AP placement information, and even for the school's listed, be sure to check with the institution to get the most recent placement guidelines. AP placement recommendations change frequently. To learn more specific information about the AP U.S. Government and Politics exam, be sure to visit the official College Board website. You'll notice that top public institutions (Michigan, UCLA, Georgia Tech) are more likely to offer placement and accept 3s and 4s on the exam than top private institutions such as MIT, Stanford, and Yale. Although the Advanced Placement US Government and Politics exam isn't accepted for credit or placement by all colleges and universities, the course has other value. Most significantly, when you're applying to colleges the rigor of your high school curriculum will often be the most important factor considered in an admissions decision. Colleges want to see that you have taken the most challenging courses available to you, and Advanced Placement courses play an important role in this piece of the admissions equation. Also, the knowledge you gain from the US Government and Politics class will provide you with valuable information that can help in college classes in fields such as history, political science, social science, government, and literature.